Five Glens Consultancy was established in September 2014 and is owned and managed by Scott Petrie. Scott specialises in the rural sector and has more than 20 years’ experience in rural development. 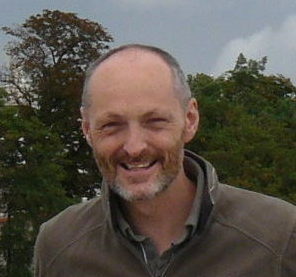 Before starting Five Glens, Scott was a Regional Manager with Scottish Land & Estates, where he represented the interests of private landowners on a variety of subjects ranging from management of land, agriculture, forestry and country sports through to wildlife crime, rural skills, business diversification and rural development. Since graduating in 1997 with an Honours degree in Rural Business Management from the University of Aberdeen, Scott has amassed extensive practitioner and research experience in rural development. In addition, he has experience of engaging and building strong productive relationships with politicians, government agencies, local authorities and other key influencers. Previous employers include Scottish Land & Estates, Rural Development Company, Angus Rural Partnership, University of Aberdeen and the Scottish Agricultural College. Five Glens Consultancy collaborates with a network of senior associates who collectively cover a wide range of specialisms. Doing so allows us to bring high-level consultancy at a reasonable cost, without inflated charges to support a hierarchical structure, or using inexperienced researchers with limited supervision. Click here to e-mail Scott.